Talking about his new sitcom 'Life's Too Short' Ricky Gervais said its the funniest thing he and Stephen Merchant have ever done. Starring 3ft 6in actor Warwick Davis, Davis’s character in the show is a self-obsessed dwarf with ‘small-man complex’ who runs an employment agency called Dwarves For Hire – but steals all the jobs for himself. 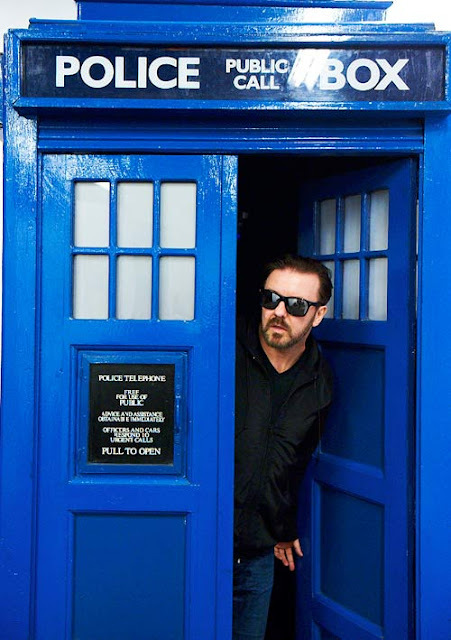 Gervais added he and Merchant decided to make the sitcom after meeting Davis on the set of Extras, where he shared his experiences such as taking a broom handle to supermarket so he could knock products from high shelves onto the floor. ‘The real Warwick tells great stories,’ Gervais said. ‘They’re comedy gold.